Designed by Rees Jones, Falcon's Fire Golf Club features a blend of modern and classic architecture. 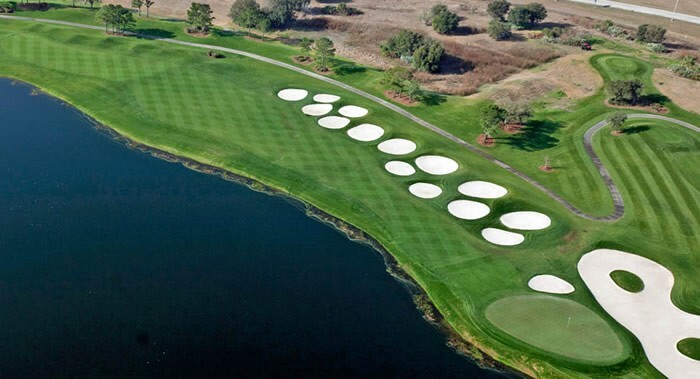 With its classic golf course design, unique terrain and year-round tournament playing conditions, Falcons Fire Golf Club is arguably one of the top Orlando golf courses. Boasting tournament playing conditions daily, Falcon's Fire boasts TifEagle greens providing optimal modern putting conditions. 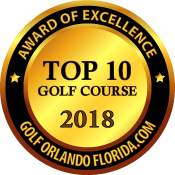 Falcon's Fire Golf Club earned recognition as the Best Public Golf Course in Orlando 2018. White sand bunkers, grass mounding and natural water hazards border the pristine fairways for a visually aesthetic and picturesque setting. 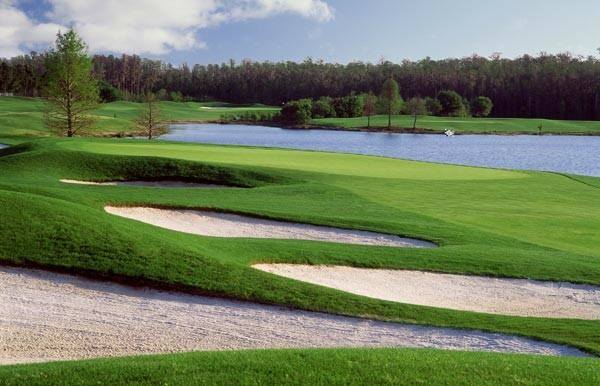 Falcon's Fire Golf Club is not only recognized as one of the finest Orlando golf courses, but also nationally. Located within a mere 3/4 mile from the Gaylord Palms Resort & Convention, Falcon's Fire is also conveniently located to Walt Disney World Resort, the Orange County Convention Center and Orlando International Airport. Because of this prime location and pristene playing conditions, booking tee times at Falcon's Fire is high on the list for Orlando golfers. Falcon's Fire truly stands alone at the top of the list of "must play" public golf facilities. Measuring 7,015 yards from the championship tees, Falcon's Fire Golf Club boasts a course rating of 74.0 and slope of 138. 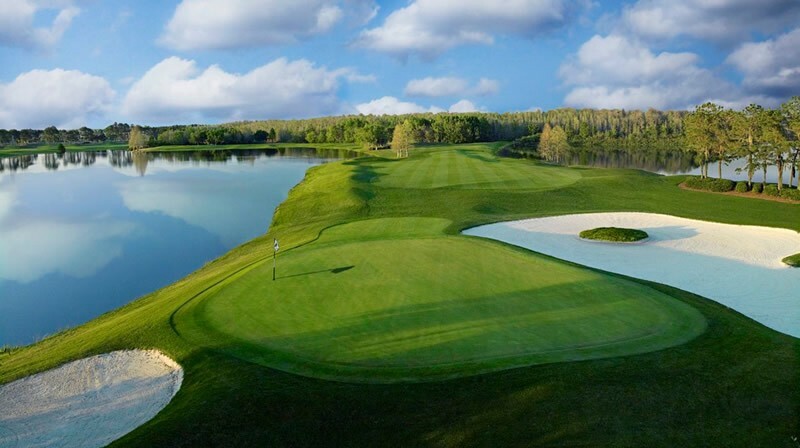 Voted 4 stars by Golf Digest's Places to Play, Falcon's Fire Golf Club in Orlando continually receives worldwide recognition for the quality of its overall golf experience. Falcon's Fire sets itself apart from other Orlando golf courses by providing an atmosphere and level of service that is usually reserved for members of the most prestigious private country clubs. 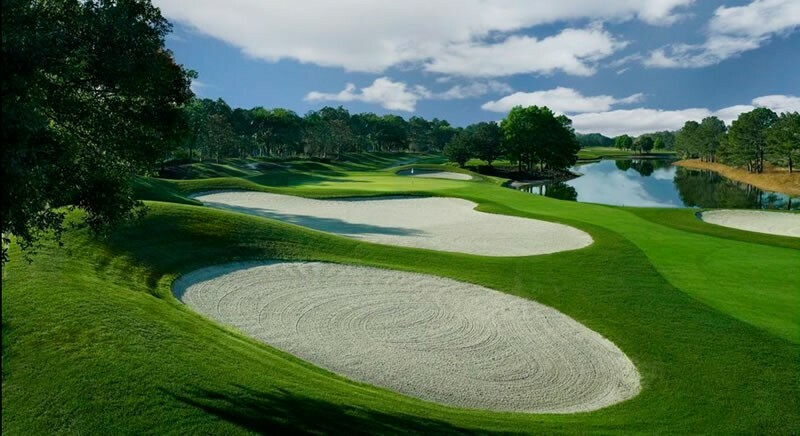 In addition to being named one of the best golf courses in Orlando by Golf Orlando Florida in 2017, the course has garnered many other rewards and gradually risen to national acclaim after playing host to a number of top-tier tournaments. Falcon's Fire has received numerous awards and accolades since opening in 1993. While it presents sufficient challenge to gifted golfer, Falcons Fire Golf Club is playable for the novice golfer. 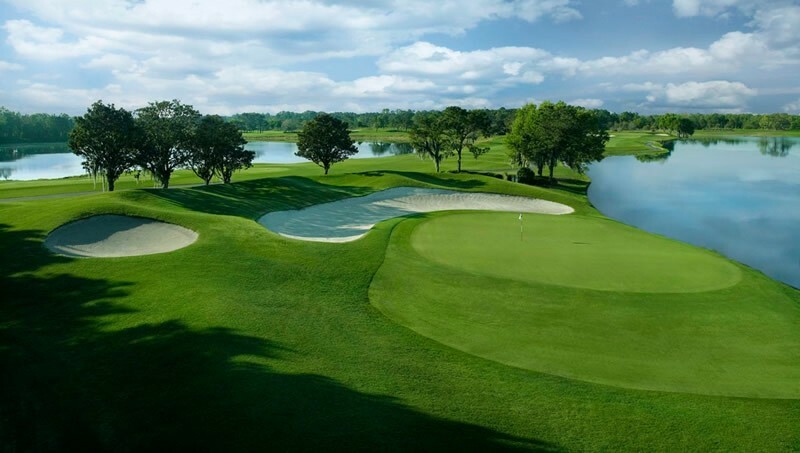 In addition to its impeccable design, the wonderfully maintained Orlando golf course offers year-round golf for those wanting to enjoy a relaxed outing with family/friends, or for those looking to face the stiffest of competition in a tournament atmosphere. Photo opportunities abound at Falcon's Fire Golf Club. First time playing this course. Some interesting holes. Great condition. A good golf course, but nothing exceptional for the price. We played other courses like Orange County National and Shingle Creek that were a class above Falcon Fire. Our group of 12 loved this course. Great condition and fun layout. We're putting Falcon's Fire on our list next year. Fun layout in great condition. Falcons Fire offered great service and exceptional value. The course was in very good condition. 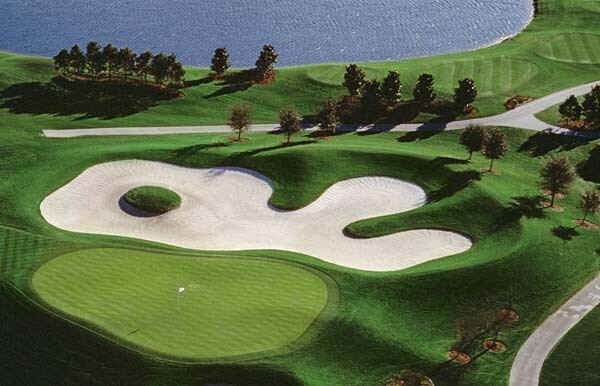 One of the better golf courses to play in Orlando. Nice straight forward layout with good variety of holes. Good course conditions.